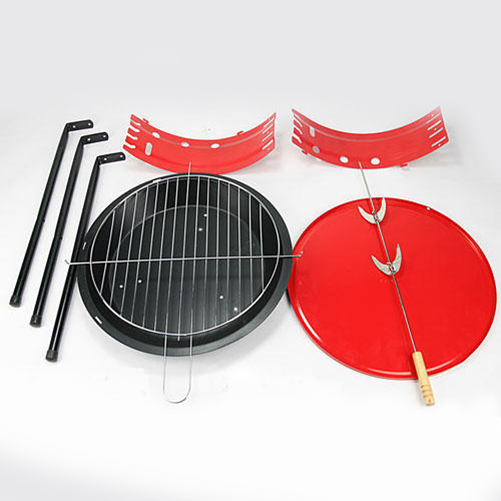 This stylish red charcoal grill is made from strong steel with a chrome plated wire grill and spit fork. 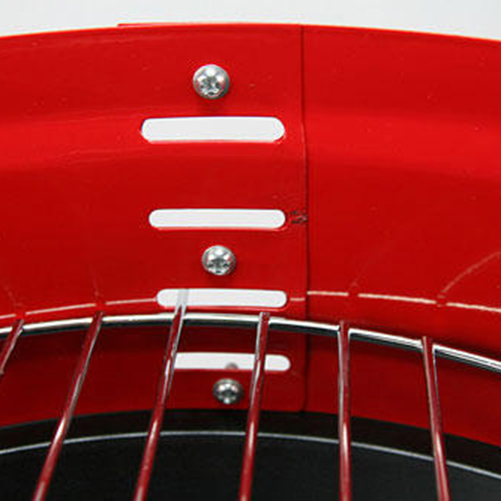 The grill can be adjusted to four heights for temperature control. 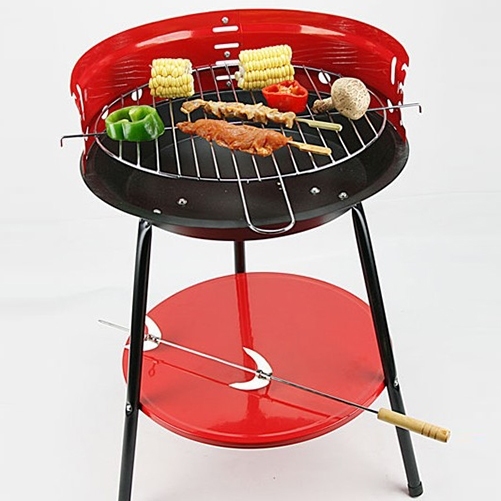 This compact BBQ also come with a wind shield, storage shelf and handle on the wire grill. 1 three foot for circular pipe foundation, screws in the carbon plate. 2 red round iron plate, diameter 35CM. 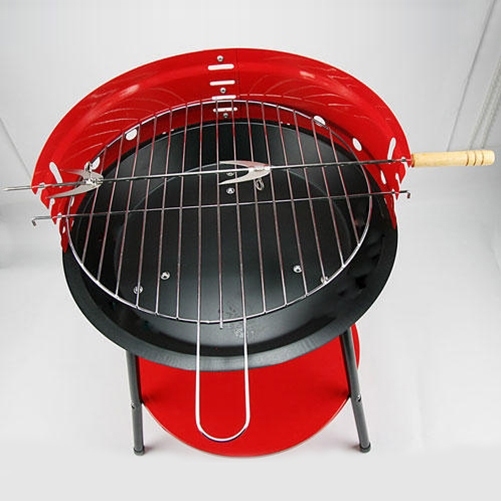 4 the wind cover is provided with a hole, for the position adjusting platform, according to the amount of carbonfixed barbecue, disc height, total height adjustable four. ?